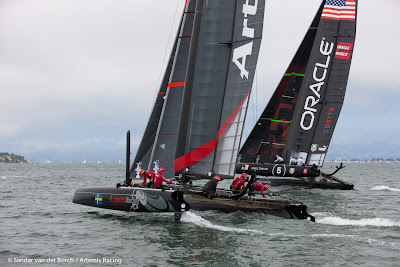 Today was Giant’s Day at the America’s Cup World Series with a full fleet sail by at the AT&T Giant’s Stadium before the Match Racing Semi-finals got underway, followed by two fleet races. 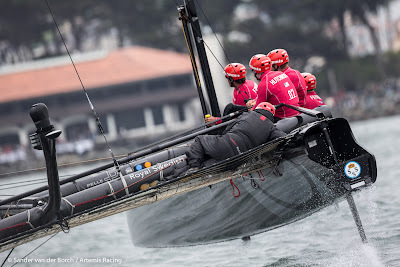 Terry Hutchinson and the crew on Artemis Racing – White lined up against ORACLE Team USA Coutts in the first match race. 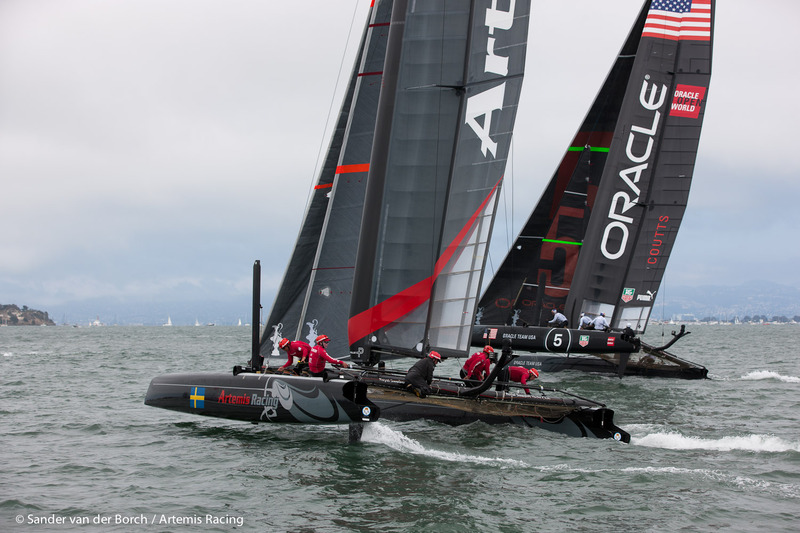 Four-time America’s Cup winner, Russell Coutts won the pre-start and the AC45s battled around the course. At the windward gate Coutts beat Hutchinson into the three boat length circle, protecting the American team from having to give way to Artemis on starboard. Both boats sailed a good race, but the win went to Coutts who will now race stable mate Jimmy Spithill in the finals tomorrow. In the fleet racing, Artemis Racing - White took a 6th and 4th, while Artemis Racing – Red was 9th and 11th. Racing wraps up tomorrow with the Super Sunday final fleet race which counts for triple points. 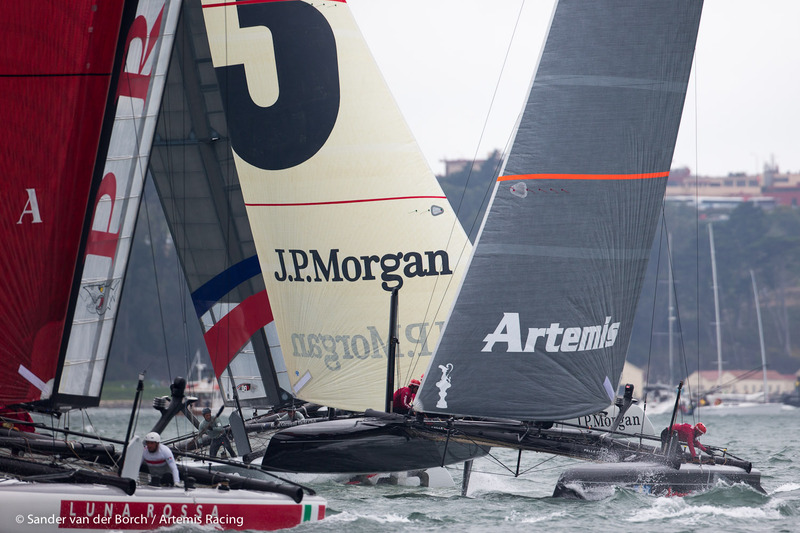 “We definitely are in the hunt, it’s all to play for tomorrow,” said Dave Perry, Artemis Racing’s Rules Advisor.